I've recently fallen in love with cream stick highlighters and it's all due to the Pony Effect Makeup Arti-stick Highlighter in Dream-Like. It officially moved me from loving liquid highlighters to creams. I bought this in one of the sets that included the Pony Effect Pebble Blender and Mirage Highlighter in Lucid Dream, which is also one of my favorite highlighters to use. The Arti-stick in Dream-Like retails for $28 by itself and contains 10 grams of product. 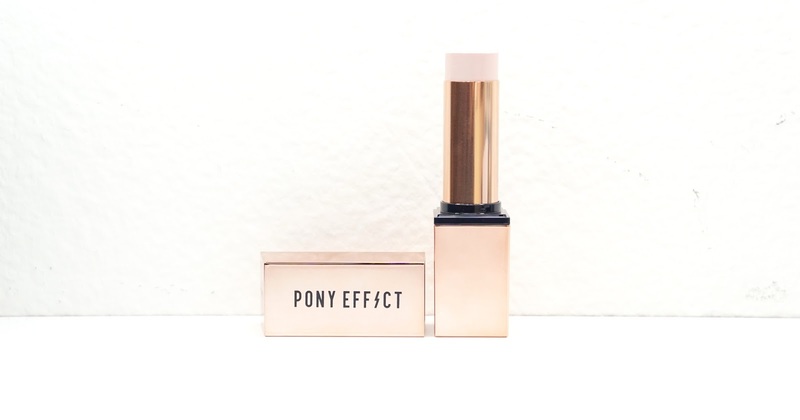 The Pony Effect Makeup Arti-stick Highlighter in Dream-Like is described as a "golden rose-toned color" but I see it as a maybe white rose gold? The formula is pretty interesting since it does give me a nice dewy/strobe like glow but it's not wet or tacky like some other creams. The texture is more on the dry (but still creamy) side and so it also performs really well on top of powders too. I prefer to apply the product onto my fingers and then onto my cheeks, but it is creamy and forgiving enough that I can also just glide it directly onto my cheekbones. It's also pretty easy to blend out just using my fingers. 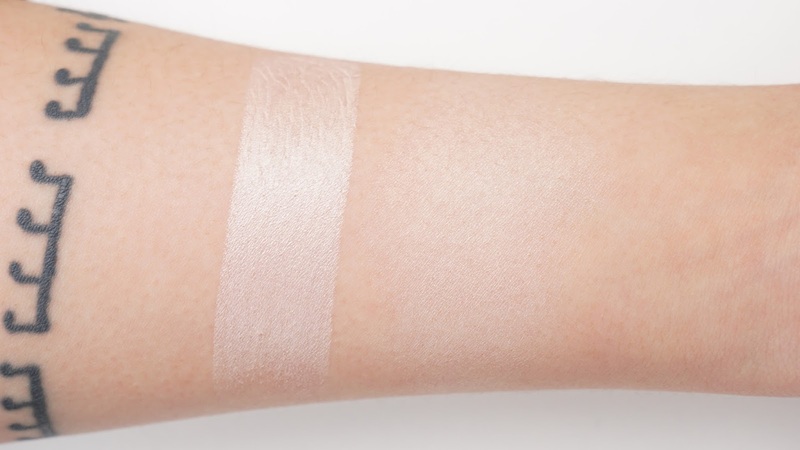 If you're into subtle highlighters, this will be a great choice since the shimmer is very fine. It is really just a glow on your face, but you can build it up to be more reflective or shimmery. In the above left picture, I did lightly powder my face because I was wearing a pretty dewy foundation. The highlighter still give me a nice strobing/subtle highlighting effect on top of my cheekbones without balling up or adding texture to my face. It also didn't look patchy even though I applied it on top of powder. I do forget to use cream products before powders sometimes and so I love that this product can be applied at any step after my foundation. In contrast, I applied Dream-Like on top of my dewy foundation and oh boy. I love it this well as well! It adds to the glow I already got from the foundation but makes the light a bit more focused on the higher points of my face. For longevity, I didn't see too much fading or patchiness throughout the day. I do normally wear glowier foundations though and so it did fade faster on me. Like mentioned, I do sometimes wear it on top of translucent power sometimes and it did last longer like that since my skin wasn't as dewy. This product also didn't emphasize the texture or pores on my face. Final thoughts: I love this cream highlighter stick! I thought I loved the Marc Jacobs cream highlighter stick (and I do), but the Pony Effect Makeup Arti-stick Highlighter in Dream-Like does stand slightly on top since the shimmer is more fine. I like to layer the Pony Effect Mirage Highlighter in Lucid Dream on top of it, but the cream just by itself is pretty amazing. I can also see this formula working really well on oily to dry skin, but it might break down faster on those with oily skin. One of my favorite things about this product is the fine shimmer. It gives such a natural subtle glow and so I do reach it for almost everyday and then sometimes bump up the shine using a more shimmery powder highlighter. I can layer it up to be more reflective though if the initial subtleness to it isn't to your tastes. How do you feel about cream highlighters? What your favorite cream highlighter or highlighter in general?